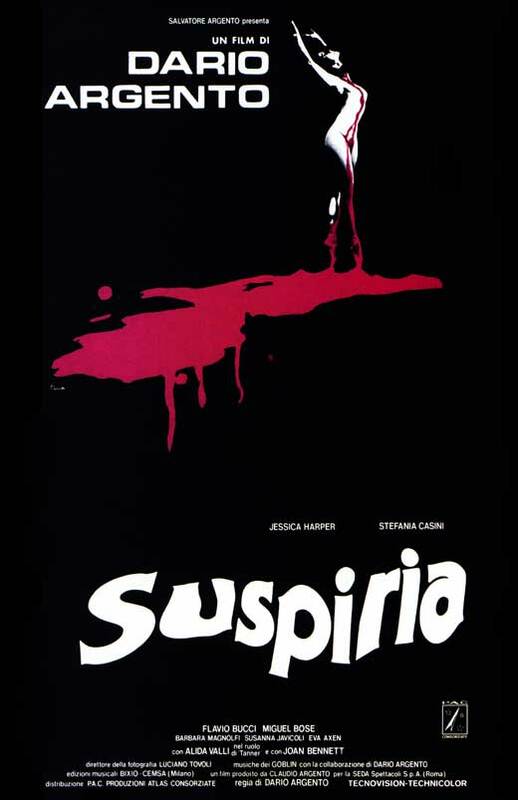 An American ballerina (Jessica Harper) arrives at an elite European boarding school and is unnerved to learn that one of her classmates (Eva Axen) has just been killed. Harper’s roommate (Stefania Casini) suspects that the headmistress (Joan Bennett) and her lead instructor (Alida Valli) are involved in witchcraft, but their investigation puts their lives in danger. Peary is rather humorously dismissive of this cult gothic-horror flick by Italian director Dario Argento, noting that while it “has a promising beginning”, “it’s done in by too much visual flair (at the expense of content); a trite plotline and unsatisfying conclusion; poor dubbing; and deafening music supplied by [Goblin] and Argento”; he adds that “one begins to suspect that the unseen murderer walking about is an avant-garde rock musician” (!!). Peary’s review is spot-on: Suspiria is a “love it or leave it” type of film, with diehard fans and bored haters at either extreme. Argento purportedly stated he “would rather see a beautiful girl killed than an ugly girl or a man”, which sums up what you get here — though there is also an elaborately staged killing of a blind man by his guide dog in an empty plaza, so he’s not entirely one-sided about the matter. Harper is an effectively plucky heroine, but given far too little to do (and never gets to dance; ballet is noticeably missing from this flick). One mostly pays attention to the inspired sets and production design, as well as how frequently (and randomly — as in a dream) the color scheme shifts. Be forewarned that you will NEVER get the repetitive theme song of this movie out of your head once you’ve heard it — ever. Yes, once, simply for its cult status. For my money, not must-see. I’m more on Peary’s side on this one. What shocked me most is…what a godawful BORE it is! Obviously, it’s nothing against horror films…but this one is just plain incompetent. It’s slapdash, confusing, yet it seems to think it’s pretty good. Poor Harper looks and seems like she walked in off the street, only to find herself in the middle of something she’s too smart to be a part of (I don’t mean her character in the plot; I mean the film itself). I know this film has many enthusiastic fans. Go fig. One of THE all time great horror entertainments and an audio visual masterpiece.